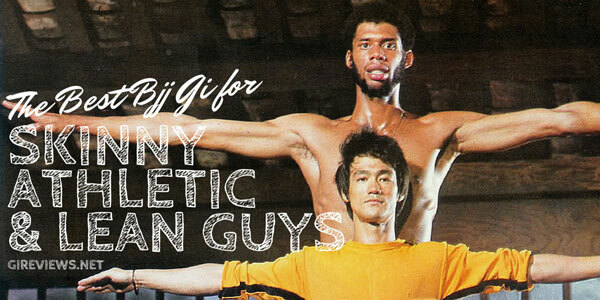 Disclaimer: This review contains images of a gi that I actually wear. I have put patches all over it. Yes, I like looking like a walking billboard. Yes, Nascar jokes are welcome. This gi is awesome and so am I and so are all 9 patches on it! Rant: You’ll notice the grass is super green in the photo above and since I live in Chicago, that means I took this photo a long time ago. 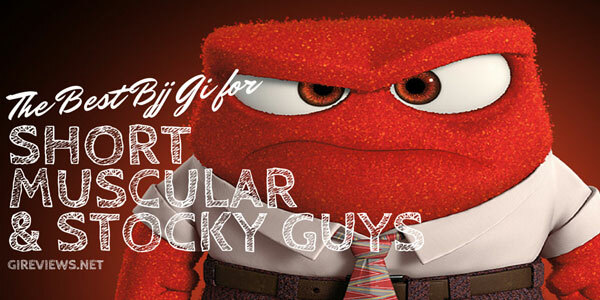 GiReviews.Net prides itself on giving thorough and accurate reviews and, as such, this review took many months to complete. The CTRL Industries Carioca – Ipanema Edition is a solid 420gsm pearl weave jacket with some of my favorite pants ever. Highly stylized, it was totally unnecessary for me to patch it out, but I love the yellow stitching on the white material and think CTRL makes excellent gis despite being a relatively young company. 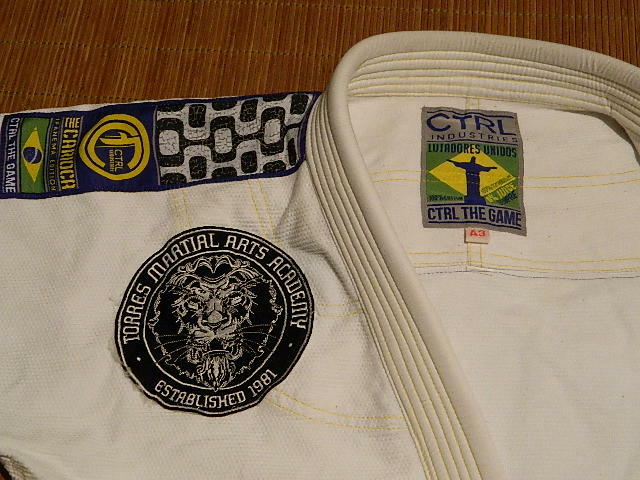 My CTRL Industries Rook was, for a long time one of the best fitting gis that I owned and I highly touted CTRL as the best fit for a person my size (6’1 and 200lbs). Unlike the Rook, I had to shrink down the Ipanema a fair bit before it would fit properly. The jacket still seems a bit bulky in the upper chest area and I’m not a small man. You can see it in the picture below in the armpit area. Other than that, this gi is a spot on fit for me. You can tell because the skirt fits flush across the front (as it should). It makes for a very cohesive piece and a very deliberate style. 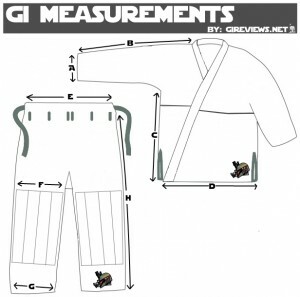 The gi features a lot of patchwork: shoulders, lapel, interior taping, pant and jacket cuff tape, and a hip patch. Yet, somehow, the patches that the gi comes with don’t seem to overwhelm the design. 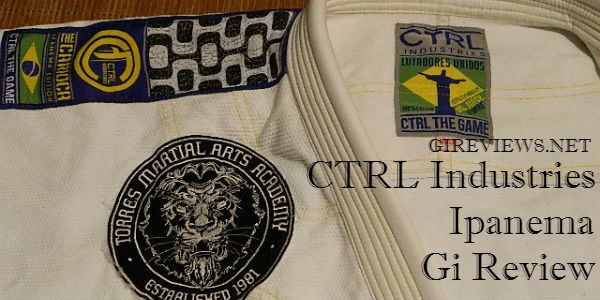 The CTRL Industries Ipanema also features embroidery on the lower pant leg and on the left rib cage of the gi. I applaud them for putting the embroidery high on the gi’s rib cage because I like to wear my belt low and that typically covers up lower-skirt embroidery and patches. Lastly, I really like the Ipanema boardwalk inspired taping all over the gi. It’s on both hips, inside the jacket, on the shoulders and on the pant cuffs. Again, this lends to the overall theme of the gi but also creates a cool geometric pattern that’s pleasing to the eye. The jacket on the CTRL Industries Ipanema is a pretty nice pearl weave that is comfortable to roll in. The lapel is covered with the same ripstop as the trousers and I had no issue with any fraying. Unlike a few other gis I’ve seen recently, the stitching does not look like it was done by a drunken wompa. It’s actually quite immaculate. The inside of the cuffs feature a seam tape different from the taping inside the jacket and on the inside of the pants cuff, which is pretty cool aesthetically, but I found it to be very comfortable to wear while rolling and it caused no scratchiness or irritation. The jacket vents are reinforced well, similar to my DOM Combat gi, and the taping along the bottom held up very well.. as well! The pants feature more than adequate length knee pads. The seam tape located at the bottom of the pan cuff is not only cool looking (Ipanema boardwalk pattern), but also is fairly soft and not scratchy at all. One of my favorite things about the pants is that they have heavily reinforced knee pads so I’m sure they’re last for a number of years before wearing out. In addition, there are only 4 belt loops on the gi but they held up very well and are placed appropriately so no more are necessary. 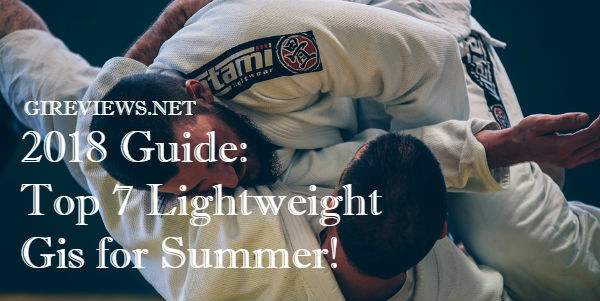 The gi pants are easy to tie and they stay tied when rolling. 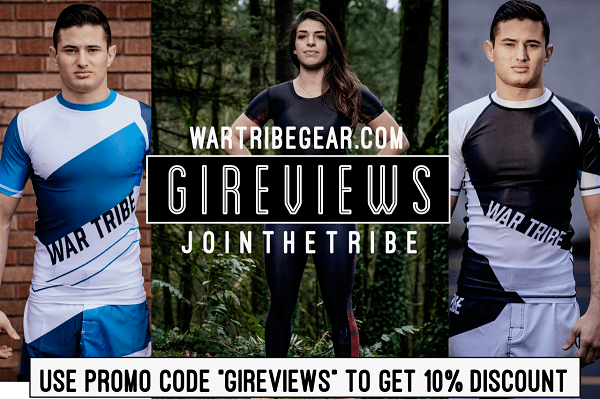 The pants are a good competition width for somebody like me with bigger thighs and I would definitely recommend this gi for competition and for training. The pants, much like the Rook, are my favorite part of the gi. The only pants that I have found to be better are my new Scramble Athlete pants. The patchwork all held up incredibly well and there was no tearing or fraying over the many months that I took to write this review. Rolling in this gi was excellent as it fit me well. The only note of concern was that I was wearing this gi when I became introduced to inverted guard and due to the extra material in the upper chest/armpit area, the gi would get in my eyes quite a bit. Maybe I should tie me belt tighter (properly)? I experienced no ripping, tearing, or scratching with the gi and the pants stayed up very well despite doing a lot of leg drag and spider guard pass drilling with them. Other than the jacket being bigger than the previous CTRL gi I owned, the Rook, this gi is exactly what I expected it to be. The ripstop pants are fantastic and the pearl weave jacket is very comfortable, even when weighed down by a myriad of silly patches. I’d highly recommend CTRL gis, especially the Ipanema edition, for their high quality craftsmanship, superb styling, and durability. RlI have the Rook and Carioca 2.0 white. I love my Gi’s I love CTRL It’s all i wear. There are a few gi’s out there that catch my eye, but CTRL is my favorite. 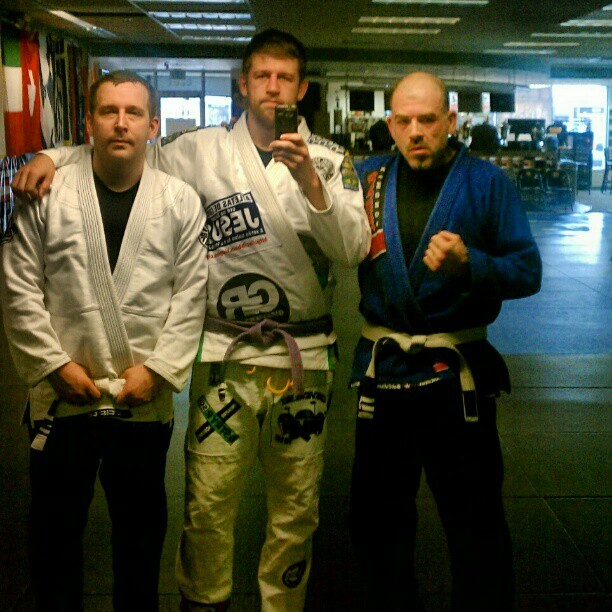 Blayne Barlow is on a roll….Oss! What is your height and weight Robinson? Im 5 11″, 205 lbs. On their website A2 should fit me but not sure if I should get an A3? Any suggestions?